Cottonwood Christian Learning Center is located in Jenison but provides services to families in the surrounding Grand Rapids area. We provide child care, preschool, and after school care for children ages 0-12. ACCESS is a network of congregations, individuals and the community-at-large, working together to meet needs in Kent County. ACCESS seeks to provide its 350-member congregations with the knowledge they need to make their resources more effective and to minimize duplication. Among its efforts, ACCESS coordinates food pantries and drives, offers casework services to help congregations assist individuals in need, and sponsors a Holiday Giving Network. Their comprehensive services include adoption, temporary foster care, counseling, training, and family support because we know children thrive in safe, loving, and strong families. We are committed to finding the best families for children in need around the world. Our mission calls us to demonstrate the love and compassion of Jesus Christ. Pursuing excellence in providing affordable counseling, consultation and educational services through professionals committed to Christ. In response to God’s call to justice, the Inner City Christian Federation provides housing opportunities and services that encourage family responsibility and independence, thereby helping to build stable communities. ICCF’s three main programs focus on emergency housing, long-term affordable rental housing and home ownership opportunities education services. ICCF strives to meet families where they are in their housing needs and to provide the opportunities and encouragement to help them achieve success in realizing their housing goals. This organization exists to demonstrate the compassion of Jesus Christ toward the hungry, homeless and hurting of the Grand Rapids area. South Haven Ministries provides shelter and services to abused women and partners with the faith community to respond appropriately to families affected by domestic violence. The Salvation Army’s mission is “to preach the gospel of Jesus Christ and to meet human needs in His name.” The Salvation Army of greater Grand Rapids and Kent County offers programs that assist individuals in need of temporary housing, support families in trouble, and ensure that the children of the community are provided for. Resources include job counseling, family development and parenting classes, and a variety of Sunday services at two locations in the greater Grand Rapids area. Wedgwood Christian Services extends God’s love to youth and families through professional counseling and educational services. Youth services include residential treatment, foster care, independent living, in-home intervention, outpatient counseling, and prevention. Our philosophy of care offers grace, promotes healing, and encourages learning. Free daily tutoring, free parent training in tutoring, free telephone consultations, free information on website, free evaluations. The Center for Childhood Development provides a wide variety of assessment, treatment and consultation services to help children and families in the West Michigan area affected by neurodevelopmental challenges. CEN is a Michigan Department of Education statewide education information network. CEN produces and distributes newsletters, brochures, and other education materials in print and electronic formats. Faith Alive Resources contains Christian educational materials for children and adults. Alliance for Health, a nonprofit West Michigan organization, is a broad based community coalition encouraging optimal health for all through high quality health care services at the lowest cost. We bring together those who give health care, those who get health care and those who pay for health care to identify and work together on health-related community priorities. We are committed to advancing a high-quality, patient-centered, cost-effective health care system. Provide support, information and advocacy to parents of children with emotional, behavioral, or mental health disorders. Provide treatment and resources to children with asthma and their families. CEHI works collaboratively to maximize community resources and reduce the negative impacts of environmental hazards on the health and wellbeing of children and families in Greater Grand Rapids. A hospital dedicated exclusively to children’s health care needs. All of the care is provided by pediatric nurses, therapists and clinicians and there are nearly 200 pediatric physicians in more than 40 pediatric specialties. Provides community health needs of the citizens of Kent County by continually and diligently endeavoring to prevent disease, prolong life, and promote the public health. Provides community health needs of the citizens of Ottawa County by continually and diligently endeavoring to prevent disease, prolong life, and promote the public health. Pine Rest provides Grand Rapids and the surrounding communities with quality behavioral health services, including therapy and psychiatric services for children, adolescents, adults, older adults and families. A prevention-based organization, services are provided to children and families to prevent child abuse and neglect. Grand Rapids Family Magazine is written specifically for West Michigan families. Parents turn to Grand Rapids Family Magazine each month because it is a resource that addresses the myriad issues they confront, from child care and education to where to find kid-friendly weekend fun. It has monthly columns devoted to education and health. Offers a program designed to help and support first-time parents with children birth to age e3. 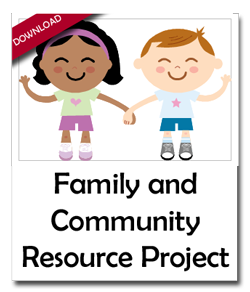 Families are assigned a family support worker who will visit the home and assist the family by offering child development and parenting information as well as connecting the family with community resources. The family support worker may also provide support before the baby is born. This program is voluntary and services are free, private, and respectful of language and culture. CSC provides services for families facing a variety of different problems that we are presented with in our day to day life such as relationship issues, communication strengthening, job stress, etc. Every Sunday Night, WLAV, WTNR, WHTS & WBBL T\team up to offer a movie for only $4.00 at Celebration! Grand Rapids North, South, and RiverTown! Times and movie selection are posted on the website. Bottom of FormBlandford Nature Center, located on 143 acre of land and wildlife, believes children and adults learn best through personal experience. Their job and passion, is to invite the community to get their hands dirty in nature – whether that be standing knee-high in water to learn about stream ecology or planting squash seeds to start a garden. Look at the events tab on the webpage for event details. It is a tool that can help you find things to do with your family in the Greater Grand Rapids area! Click day by day on the event calendar and you will be amazed at the variety of activities in our region. The Grand Rapids Children’s Museum celebrates childhood and the joy of learning by providing an interactive, hands-on environment that inspires learning and encourages self directed exploration. Thursday night is Family Night from 5-8 with $1.50 admission, ages 1 year and above. The Holland Community Aquatic Center is committed to providing the highest quality aquatic instruction, training and competition, recreation, fitness, and therapy and rehabilitation programs to the community of Holland. These activities and programs will be presented in a family oriented, safe, clean and wholesome environment. Kids (15 years and younger) bowl 2 free games each day from May through September 2. Look for posted days and times. Two for Tuesday- On the second Tuesday of June, July, and August the zoo offers buy 1, get 1 free tickets from 5-8. The Grand Rapids Public Museum, Grand Rapids Art Museum, Grand Rapids Children’s Museum, and Gerald Ford Museum also participate in this event. The Ray and Joan Kroc Corps Community Center is a 20-acre education, recreation and cultural arts and worship facility. Robinette’s offers quality fruits, baked goods, collectible gifts, home decor, and personal care items. They have hayrides, a corn maze, and mountain bike trails that are available at different times throughout the year. A car show, a centennial event, and a peach festival are upcoming events. Minor league baseball team affiliated with the Detroit Tigers. Story time, make and take classes, music and movement classes and movie festival are some of the early childhood events hosted at various libraries. Use the events tab at the website to access details. Two hours of rock climbing, super sliding, ice cream eating, dancing, singing and playing- best of all everyone’s invited and everything this FREE! This year the parties will include a free lunch for anyone under the age of 18, large scale activities like the Dixie Twister, The Purple People Eater and the Turbo Tubs.